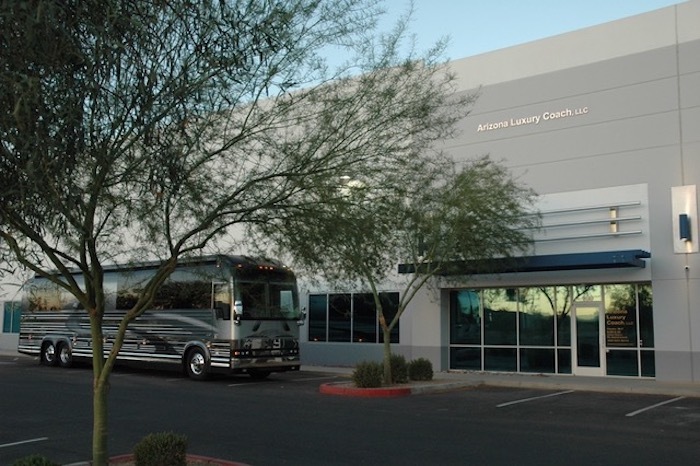 Arizona Luxury Coach, LLC was created to be America’s top luxury coach dealership. Founded by Steve Bennett who started the original indoor luxury coach store with California Coach Company in 2005. Steve has always had a passion for “machines of mobility” and has been a pioneer in the vehicle industry for over 35 years. Being a coach owner himself Steve appreciates the lifestyle and people drawn to this wonderful way of travel. After selling California Coach, and working for another dealer for the past 2 years Steve believed the only way to properly take care of our clients was to form a new company. His goal is to create a company that can help others fulfill their dreams and provide friendly professional service with integrity. Arizona Luxury Coach is located in Phoenix just 15 minutes from Sky Harbor airport near 2 major freeways. Each hand-picked coach is meticulously detailed, and displayed in our 16,000 square foot air-conditioned showroom. With every detail of your transaction, we represent your best interest as if we were buying or selling a coach for ourselves. You can trust that things will be handled the right way. We sincerely desire that each and every client we assist will believe that they have received the absolute best service possible and that a lifelong friendship will develop between people with a common passion. We have inventory arriving daily, keep an eye on our site as we are in the process of photographing our current selection. 525 E Pinnacle Peak Rd.